Monthly newsletters, shows, and project updates. The 5th Annual Woody Guthrie Hoot brought together Guthrie fans from the Brooklyn Borough for a night of sing along choruses and dusty refrains. Not a seat was left vacant for nearly two hours of Guthrie's songs: From daunting political ditties like 'All You Fascists are Bounds to Loose,' to 'Hobbo's Lullabies,' 'Dust Storms' and any amount of 'Old Dusty Roads.' Thanks to Beth Kotkin, Joel Landy, Nancy Moccaldi, Anne Price, Kim Maier and Steve Suffet, all performing songs that former Brooklyn resident Woody Guthrie sang. The six performers will take turns leading songs, while providing instrumental and vocal accompaniment for each other. Please come prepared to sing along on choruses and refrains. I wasn't on the road this year--as many of you noted. I needed time to write more material, so that I can have some new tunes to share with folks--always a good reason to tour. I've been researching a colorful distant relative James 'the Rooster' Corcoran. Known to many as "King Corcoran of the Roost." He was an infamous character around the mid to late 19th century in NYC (he's mentioned briefly in the movie Gangs of New York. He immigrated to New York in 1844 from Balbriggan, Ireland, and set up a shantytown in Manhattan. The songs are coming along and the hope is to start recording new material in the new year. I'm not sure when it'll be finished, but the hope is that 2019 should be a good bet. Stay tunned! Round robin songfest featuring Vincent Cross, Beth Kotkin, Joel Landy, Nancy Moccaldi, Anne Price, and Steve Suffet, all performing songs that former Brooklyn resident Woody Guthrie sang. The six performers will take turns leading songs, while providing instrumental and vocal accompaniment for each other. Please come prepared to sing along on choruses and refrains. Sponsored by the Good Coffee House at the Old Stone House, 336 Third Street in J.J. Byrne Park, between 4th & 5th Avenues, Brooklyn, New York. Cosponsored by the Folk Music Society of New York. $10 contribution. Just a note about the gig, and a disclaimer about the beard. I will look like this on the day of the gig. Though I might be wearing some type of a class of hat, which has yet to be decided. As you no doubt know the Scratcher Sessions is a highly coveted musical gig in NYC, as it's about one of the few places that the focus is entirely on the music. On the not so infamous, Lower East Side its been running for something like 9 years now, and some day a book will be written in which it will be shown to play a central role in NYC singer-songwriting history . So be a part of history and come out and hear songs sung without the bells and whistles, but as natural as the day they were born. **Come early as it's a short 45min set, and it really flies. Stick around for the 2nd half act too! Another chance to pick with the legacy players of the folk revival. Those folks that were there when the big scare took place. The numbers get fewer, but the respect grows each and every year. My conversation with Roger Sprung now in his 87th year. This is always a highlight for me. 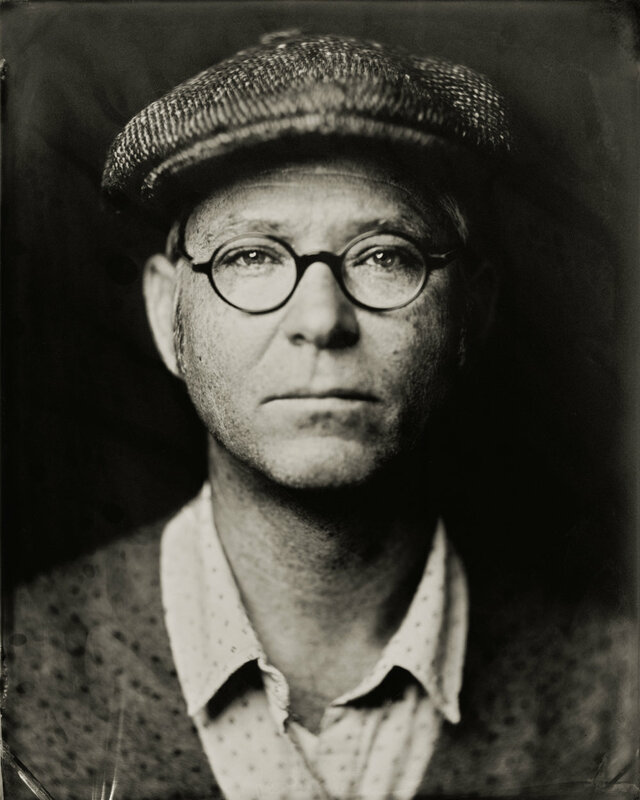 He is a man that needs little introduction to the folk and bluegrass world, but if he does, then click the link. When it comes to bluegrass he was it's first NYC native to reach beyond the doors of the city and connect with its southern roots. taking trips down south to the major festivals to soak up the music at it's source. His opinions are many and a few moments with him are always memorable, as he expounds on the inner workings of the various instruments. Soon after the event Frank Beecham posted a reflection on Facebook. Below I copy it in full, as I think he touches on how important the Reunion is to tradition of folk music in NYC. That is if tradition matters. An interesting thing happened at the 2017 folk and bluegrass reunion yesterday in Washington Square Park in Greenwich Village. What had long been a reunion of 1950s and 60s-era folkies got a major shot in the arm from a group of much younger players. In fact, since I've been going to this "reunion" in 2006, younger players greatly outnumbered the originals. It seemed these younger people sensed that end of an era is coming for the first generation performers and wanted a chance to jam with them before it’s over. Everyone wanted to play with Roger Sprung, 87, the man who single-handedly introduced progressive banjo playing to the folk movement and had performed with Woody Guthrie in the park in his younger days. The circle around him kept changing. To me, it felt a lot like the torch being passed to a younger generation...as fewer and fewer of the old-timers of the 50s and 60s were there or still playing. This is a natural progression in any music, I assume, but it clearly is happening in the Greenwich Village folk scene. I guess it’s appropriate in the same year that the Village Voice ceases to print and Rolling Stone is up for sale. May the music live on! Another extraodinary event that brings together the many spirits of old-time, bluegrass, folk and Americana is the Park Slope Jamboree. Essentially doing what it has been doing now for 17 years, acting as a rallying cry for old and new talent in NYC. This year it was sponsored by the Folk Music Society of NY . Check out some of the pics below to sample the atmosphere. Check out some more fabulous images taken by the amazing Kimberlee Piper at this years Jamboree here! ( I borrow some wonderful notes from Evy Mayer (folk music society of NY president). I recently caught the NYC premier of a new documentary Extraordinary Ordinary People. It's about recipients of the National Endowment for the Arts' National Heritage Fellowship award. I was amazed at how important other musical cultures have managed to survive outside of their own countries, and they sure managed to cram a lot into this one short film. While it is mostly musicians and dancers, they also feature artists and craftspeople. Sheila Kay Adams, who is one of the narrators and was one of the award recipients, played a short concert after the film. Also, Sidiki Conde played incredibly heartfelt songs about the people that inspire him. For those of you who can't see the movie, you can go to their website: mastersoftraditionalarts.org. Each of the artists featured here is a recipient of a National Endowment for the Arts’ National Heritage Fellowship,which is presently under threat from Mr. Trump. Poets and songwriters have been altering traditional sources for contemporary audiences for centuries, creating what we can call "tradiginal" folk music, partly traditional and partly original. Among such artists have been Woody Guthrie and Bob Dylan. In this performance-talk expect an introduction to traditional folk styles of singing, instrumentation on acoustic guitar and banjo, along with contemporary lyrics that are so seamless that it is often difficult to know where the traditional song leaves off and the new song begins. Held in a private residence on the Upper West Side of Manhattan near Broadway & West 98th Street. Seating is limited; reservations are required. Fee: $10 for Folk Music Society of New York members, $12 for non-members. The $10 member rate is also offered to students and educators. For reservations, location, and directions please e-mail John Ziv at johnziv@earthlink.net or call him at 212-662-6575. **Pass along the information on Facebook by sharing the invite. Note: It is not enough to just click GOING on Facebook. You also need to make a reservation by phone or e-mail. 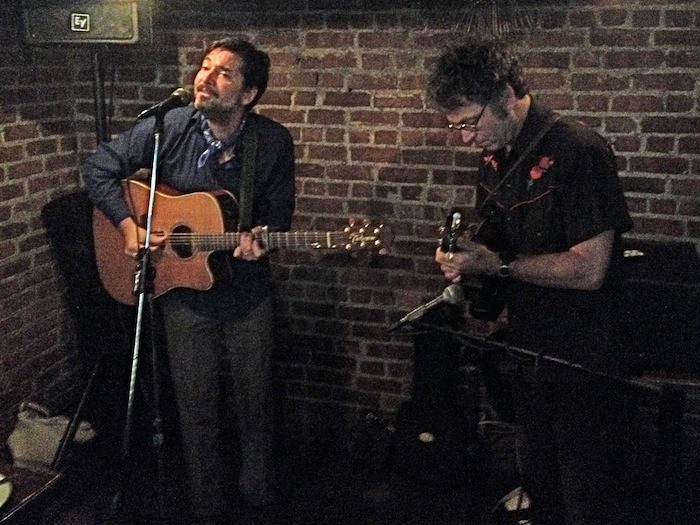 So it's almost time for the Park slope Bluegrass & Old-Time Jamboree! I've been going reqularly now since I arrived in NYC back in 2006. It was then, and is still, one of the high points of American traditional music in NYC. What I love more than anything is picking and listening to the jams that take place all through the day on Saturday. Check out the video below and you'll get the picture. The Jamboree attracts hundreds of musicians and fans of old-time and bluegrass music, and I hope to see some of my picking friends hanging out and sharing some tunes. The breakdown, for those who have never been is, (according to James Reams' website) "The day’s schedule features a full day of activities with workshops in rhythm guitar, fiddle, songwritingand more, plus all-day jamming, a special kid’s event, and an evening concert featuring many fine performers and special guests." I'll be offering a workshop during the day (details below) and will be performing during the evening concert cycle, which kicks off at 6pm. I'm on first, so come early! Hope to see you there for a chat and chune! The full menu for the workshops is not up yet, but I've been informed that they'll be taking place at two intervals: 12:30 - 1:40 and 1:50 - 3:00. I'll be taking an early slot (12:30 - 1:40) and offering an introduction to tradiginal folk music through a performance talk format. Tradiginal is a term I coined that means songs that are partly traditional and partly original. Poets and songwriters have been altering traditional sources for contemporary audiences for centuries. Among such artists have been Woody Guthrie and Bob Dylan. Expect an introduction to traditional styles of instrumentation on acoustic guitar and banjo, along with contemporary lyrics that attempt a seamless synergy. Check out some Youtube links below of the acts that are performing. Some of you may have noticed my absence from the Facebook feed over the last couple of months. No alarm necessary - I think. I've been trying to take back some of the peace of mind that used to exist between one crime against humanity and another. I've not been idle with this time, and have been fortunate to travel to Italy for the 'grand tour' of Pompei, The Vatican, and Venice with all stops in between. I cannot believe that gigs have actually kept me from Italy for this long. I must remedy this for next year's European tour. Anyone?? Below are some pics and words on Brendan O'Shea's wonderful new album, sounds from the the Augusta Hertiage Center, and notes on the Sunnyside Singers Club. With no touring this summer, I was at last able to spend some time getting in some learning down in West Virginia. On top of picking up some new banjo tunes from Travis Stuart and Tyler Hughs --check out Tyler's new album with Sam Gleaves-- it was incredible to meet such wonderful old time music enthusiasts from all over the world. I was also very fortunate to sit in with master artist Vesta Johnson in an old time session.Vesta is known for her vast repertoire of Missouri fiddling tunes, particularly dances tunes, including hoe-downs, hornpipes, two steps, waltzes, and schottisches. Now in her 90s, she regularly appears at local, regional, and national events. She is known for her vast repertoire of Missouri fiddling tunes, particularly dances tunes, including hoe-downs, hornpipes, two steps, waltzes, and schottisches. (Zoom in on the picture and you'll see me picking a 1919 Gibson L1 archtop, which was going for the bargain price of $900. I lost out to the bass player there (he had his eye on it first). What a sweet guitar. I'm still dreaming about it). Here's a link to more images from the week, and plenty of fine performances too. THE ANNUAL PARKSLOPE BLUEGRASS & OLD TIME MUSIC JAMBOREE. This coming September 15-16th will be time for the annual PARKSLOPE BLUEGRASS & OLD TIME MUSIC JAMBOREE. I'll be hosting an introduction to songwriting and singing workshop during the day. Later that night there'll be concerts. Check the poster out for more details. Not to be missed! (if I do say so myself). Take note of the change in location to the Old Stone House (still in Parkslope). Where: Heckscher Park, located off Main Street (Route 25A) and Prime Avenue, in Huntington Village. I'm honored to be joining the fabulous Skinner and T'witch (from the UK) at the Peoples' Voice Cafe Saturday May 13th in Manhattan. This alternative Cafe was founded in 1979, and has its roots in a time-honored tradition that combines culture with political activity. The Kindred Folk Monthly Music Series is a D.I.Y. music series for friends, family and fans of acoustic music in and around the Peekskill, NY. It is a very cool spot, a little river town with plenty of restaurants, bars and art galleries, which makes for a good hang after the show. Cost: The suggested donation is $15. I got to hang out with Kelly Walker at this year's North Eastern Folk Alliance and we managed to record some tunes & chatter in the hotel room there. Sit down and have a listen as we run through the crafting of songs from Old Songs for Modern Folk. "We can talk about the process, but I've no idea how to write a song." I'll be doing a 30min set at Cafe Vivaldi in the Village next Saturday, January 21st. First gig of the year at one of NYC famous folk locations. Bob Dylan's famous 'Freewheelin' album cover was shot at the end of the street. Come early for a photo shoot! I've just heard that the year end results are in from the Folk DJ top artists, albums and songs, and Old Songs for Modern Folk, broke the 30 with #27 for Album of the Year. As Artist I came in at #69 with Dylan and Baez rocking the top spots. For top songs 'Michael Brown' & ' Freeport Town' received the most plays across the folk radio shows. This is a testament to the nature of folk radio that it listens and support artists without labels, managers or other such industry weaponry. All simply because they like the songs. This is hopeful indeed. For more information on the charts check out this link. I'm very pleased to be part of this year's People's Music Network Winter Gathering which is preceded by a Winter Concert on Friday January 27th. The concert brings together some of the North East's (and further) finest songwriters and activists for a night of social change in song. Also, I'd also urge songwriters to consider registering for the full PMN gathering for the many workshops that cover: creative process, group singing, music promotion, music skills, and roots writing traditions. I'll be doing a Sunday morning workshop on topical songwriting that covers some essentials on composing topical and historical songs in the Americana tradition using primary and secondary sources. I got the idea for 'The Ballad of Roosevelt Avenue' from a local newspaper story about a young man who came to NYC pursuing a dream. It uses an old traditional melody that I first heard Roscoe Holcomb sing, and even some of the lines, which still resonate today for those who leave the countries for better lives. Live from NERFA (2016)- "Ode to an Old Guitar"
A brand spanking new video of "Ode to an Old Guitar" from the album Old Songs for Modern Folk (2016). "I bought an old vintage Martin guitar. It was 000-18 parlor size thing from 1955. The more I played it, the more I began to think about the artistic life and how this instrument finds its place at the heart of it." Read more about how the song was written on "Behind the Song"